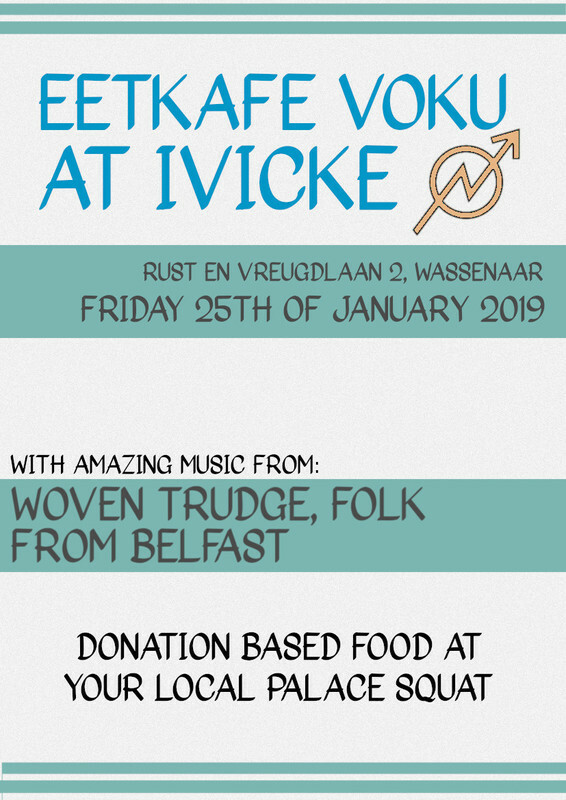 First time Voku at Ivicke, with our great friends of Woven Trudge. https://woventrudge.bandcamp.com/track/ride Food is donation based, drinks are available. A Joyfull evening to be spent at your local palace squat Ivicke.... We're also looking for people who would like to get involved in further events and organising at Ivicke, if your interested please contact us on Ivickeautonoom@riseup.net. Huize Ívicke was squatted on the 5th of July 2018 as an action against speculation by an active group that seeks to create a community where we can learn from eachother and create a space to work with our creative minds.